September 7, 2016 August 22, 2016 / Julie Brook, Esq. You rarely want to attack an opposing expert witness directly. 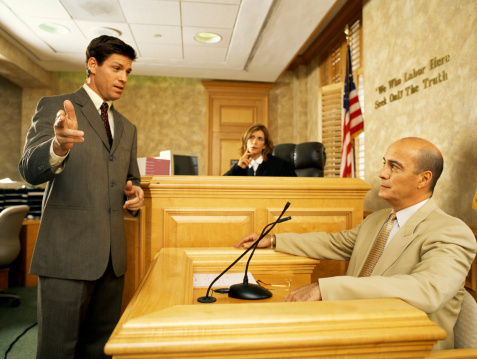 Your best bet during cross-examination is to use peripheral or tangential ways of assailing the expert’s views. You’re questioning the medical doctor who performed an independent medical examination of your client (the plaintiff) on behalf of the defense. The doctor testifies that your client’s back problems resulted from preexisting arthritic changes rather than from the automobile accident, as you allege. If you go with direct questions about the doctor’s opinion (e.g., “Doctor, are you sure that the present problems are the result of preexisting arthritic changes?”), this will likely result in the doctor’s merely reiterating the damaging opinion. Similarly, the near-suicidal inquiry, “Doctor, why are you so sure that my client’s present problems are the result of preexisting arthritic changes?” is likely to evoke an otherwise inadmissible dissertation on, e.g., the inevitability of arthritic deterioration and the number of other Americans afflicted with arthritic problems, or a subjective and unsupported opinion that your client is misrepresenting his condition. work that the witness has performed and must acknowledge to cast doubt on the expert’s qualifications, objectivity, and thoroughness. Doctor, you have seen my client only once in his life, correct? That one-time visit occurred approximately 8 months ago, correct? That one-time visit lasted only 20 minutes, correct? The views that you have expressed here today are all based on that one-time, 20-minute examination that took place 8 months ago, correct? Doctor, you have patients of your own, do you not, as well as injury victims like my client who are referred to you by law firms? In treating your own patients, you try to avoid making an irrevocable medical decision based on a single examination whenever possible, right? Now, Doctor, you are aware that my client had not missed a single day of work, other than for an occasional cold, for more than 5 years before the day of the accident in question? That’s what I am informed. Doctor, you are further aware that my client has not worked a single day since his car was rear-ended by the defendant, correct? Doctor, this is the eleventh time in the past 10 years that you’ve testified on behalf of _ _[name of counsel for the defendant]_ _ in a personal injury suit, isn’t that correct? In each of those ten other cases you testified, as you have testified here today, that you believed the plaintiff’s disability was the result of something other than the fault of _ _[name of defense counsel’s client]_ _, isn’t that correct? That’s correct, and I still feel that way. Nowhere in this sequence does the cross-examiner directly attack the witness’s central opinion that the plaintiff’s present problems are due to arthritis instead of the accident. In fact, that opinion is never even mentioned. Instead, the cross-examiner has undermined the credibility of the doctor’s central opinion. Want more tips on cross-examining opposing experts at trial? 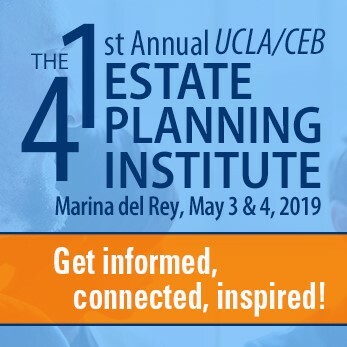 Turn to CEB’s California Expert Witness Guide, chap 15. And check out CEB’s program Preparing and Examining Expert Witnesses: Reports, Depositions, and Cross-Examination, available On Demand. Don’t forget to bring out the fact that there is no physican/patient relationship between the doctor doing the DME and the plaintiff, that he/she is not acting in the capacity of a treating doctor as are the other doctors who testify at trial. You can address the defense doctor during your cross-exam as “Mr or Mrs” to emphasis the point .